Delivering rich hydration to the delicate skin around the eyes, this deeply moisturizing cream helps to smooth fine lines & wrinkles while state of the art microcirculation ingredients minimizes dark circles and puffiness. 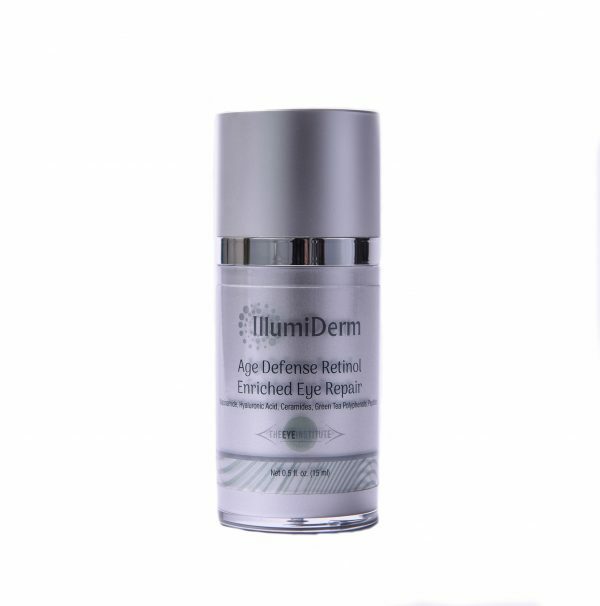 All-trans-Retinol at the appropriate level for the delicate eye area helps increase firmness and elasticity. Hyaluronic Acid deeply hydrates and seals moisture in, plumping visible lines and wrinkles. Ceramide & Peptide Complex nourishes and tightens skin, reducing the appearance of bags and dark circles. Caffeine USP, Arnica & Vitamin K help to reduce the appearance of dark circles and puffiness. Using one full pump for two eyes, apply under the eye, to crow’s feet and to brow bone once to twice daily. 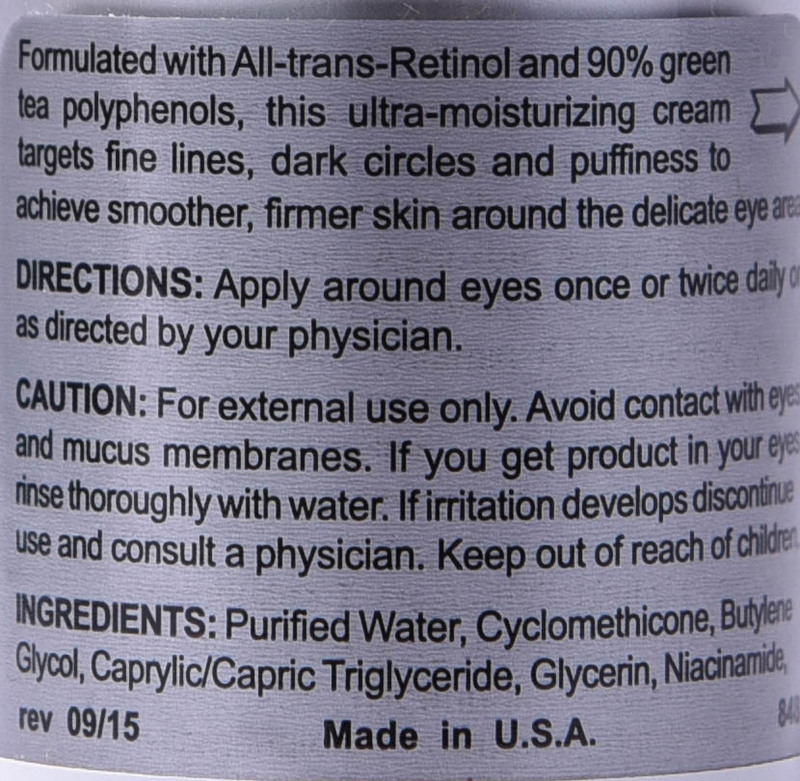 Products containing Retinol might be contraindicated while pregnant and nursing. Consult with your doctor about the safety of topical Retinol products before using.